Visiting from HelloMornings. Loved how you captured in a few words so beautifully what you learned from last weeks study time. 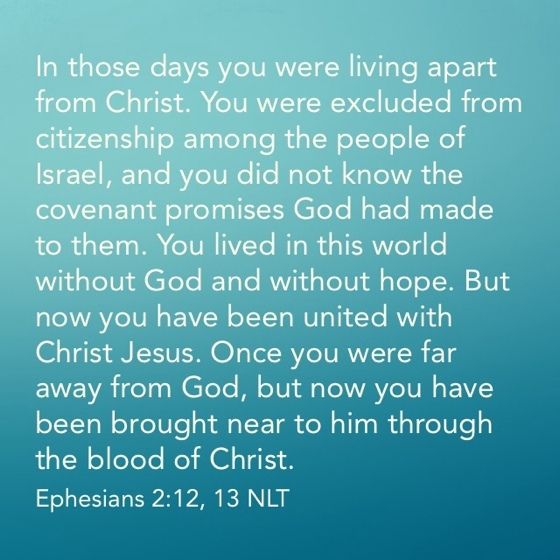 Remember who we once were, what He did for us and who we are now. I’ve truly been enjoying this study and love the chance to read what others are taking away from it. Hi Beth, Thank you for visiting. I am thankful too for this study! God has been teaching and reminding me of a lot of things that is important in building relationship with him and church. Praise God for my group too, they encourage me a lot!